Ages ago I read the account of a pilgrimage to the Holy Land, written by the 4th-century Iberian nun named Egeria. 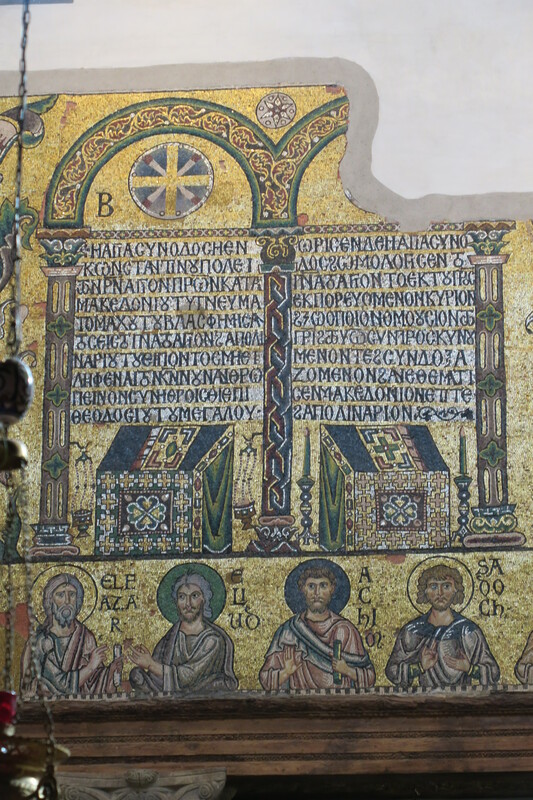 Over the course of several years she journeyed from Egypt to Constantinople in search of the holy sites, and among other things she left us one of the best and earliest accounts of the Holy Week liturgies in Jerusalem. She also salted her pages with a generous portion of credulity, and it’s fair to say that openmindedness was one of her chief virtues. When she asked to see the burning bush of Moses at Mount Sinai, for example, the monks produced it on demand. She got the same friendly service all along the route; and if we can fault her gullibility, we have to give her credit for initiative. She travelled; she wrote about it; and her stories stimulated a pilgrimage traffic that shows no sign of letting up. At the moment I’m in the middle of a pilgrimage to the Holy Land with a group of members of the Order of Malta. It’s been inspiring to see both the familiar as well as the less familiar sites. As for the latter, most pilgrims would not take the trouble to find the church of Saint John, alongside which Frá Gerard ran a hospice for pilgrims in the late 11th and early 12th centuries. 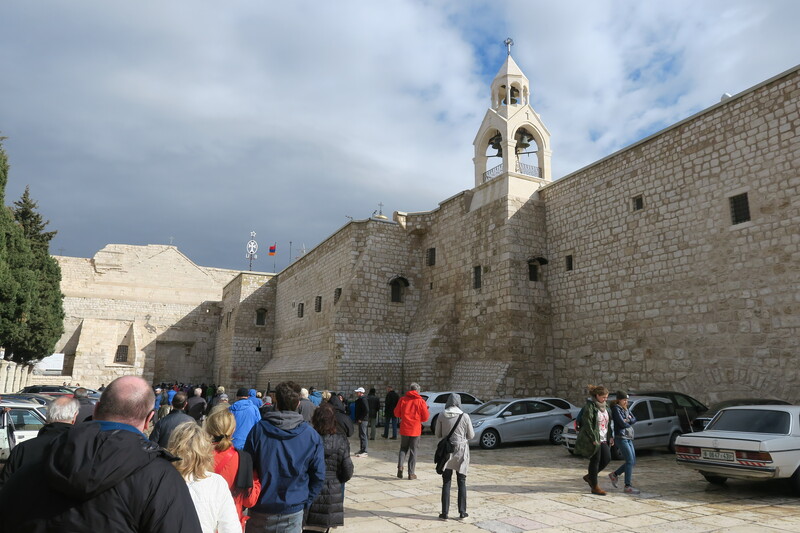 He and his successors eventually became the Order of Saint John of Jerusalem, of Rhodes and of Malta; and so it was a thrill to pose for photos at the door of this really really hard-to-find Orthodox Church. It was closed, but that did not stop us from reciting the prayer of the Order while we stood outside. As anyone who has visited Jerusalem can attest, this is a very crowded city that challenges the faint of heart. Chief among the obstacles to contend with are the crowds, which makes negotiating the narrow streets both fascinating and an ordeal. It’s also easy to get lost, which is why we were happy that forty-two of us went in and all forty-two of us emerged at the end — a little rattled. What makes it such an ordeal is not just the issue of too many people in too little space. Added to that is the fact that there is the organized competition among groups, all trying to force their way through to the front of lines. 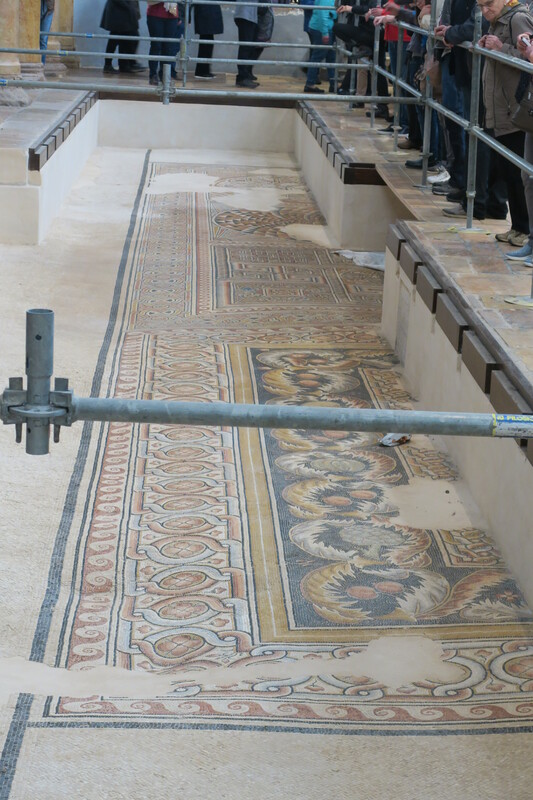 Naively we went to the church of the Nativity in Bethlehem, and there our group had its first lesson in this sort of thing. Once inside our guide quickly formed us into something of a military phalanx. With precision he shaped us into a potent force as we maintained our place in a line leading to the cave where Jesus was born. It took two hours to get there, and as we inched forward we kept in a disciplined formation that expanded and contracted at our guide’s command. Our guide also advised us not to be shy about using elbows — “because that’s why God gave them to us.” It was a triumph by the time we reached the grotto, but even there we were still fending off competitors. All the same, after it was all over a few people came to me to ask if we had to do penance for behavior we would never tolerate in church at home. 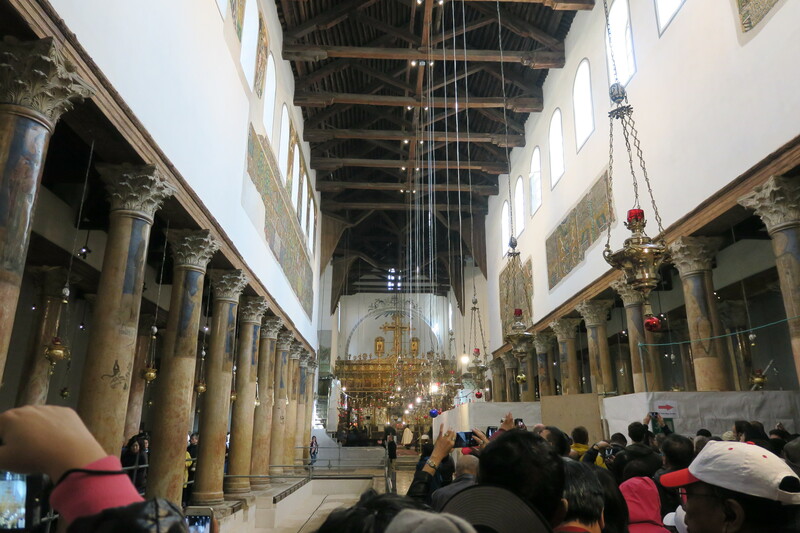 The same sort of perseverance was a real asset at the church of the Holy Sepulchre, but a dose of courage also came in handy. It’s amazing that no one gets seriously hurt on the very steep steps leading to the site of the crucifixion. All the same, some of us gasped as we watched a young woman slide down a few steps. Thankfully she was unhurt. The crush of pilgrims intensified as we entered the line to the shrine that encases the tomb of Jesus. Advised that it would be another two hours of creeping along, prudence won the day. That’s when we voted, unanimously, to retreat and try our luck another day. In sum, a pilgrimage to Jerusalem is strenuous business. The crowds are formidable. There’s lots to see. And the Bible comes alive before your eyes. At the same time, there are still the stories that beguile modern pilgrims, just as they did Egeria. Not a few tested my credulity and required a healthy dose of the willing suspension of disbelief. Once again I was impressed by the ready market for such material. But then again I should not have been surprised, given what people will accept uncritically off of the internet. Despite it all, or perhaps because of it all, a pilgrimage to Jerusalem both challenges and strengthens one’s faith. Pressed together in a sea of humanity it dawned on me that people will never cease in their search for meaning in their lives. Walking in the steps of Jesus through the streets of Jerusalem is a reminder that faith can never be merely an intellectual enterprise. Walking through life with fellow pilgrims requires patience, fortitude, courage, and along the way we may even have to resort to the use of our elbows. But on such a pilgrimage we discover that if we fall, the Lord quickly sends a brother or sister to help us regain our footing. +It’s not possible to cite everything that has impressed me in the course of this pilgrimage, but a few sites are worthy of comment. In particular, I had never visited the ancient city of Jerash, which is in Jordan. Built by the Romans in the 2nd century, its array of architecture is nothing short of dazzling. Unlike Rome, the modern city has not engulfed the ruins, and the result is a fairly complete cityscape. +On March 2nd we had the opportunity to visit the Order of Malta maternity hospital in Bethlehem. Each year the hospital welcomes 4,500 babies into the world, and the staff maintains the only neonatal intensive care unit in the region. They provide a vital service to mothers who have few if any alternatives. The French Association and the three US Associations of the Order of Malta share in providing the funds for the hospital. +Our pilgrimage ends tomorrow, after which I have to get back to my day job. 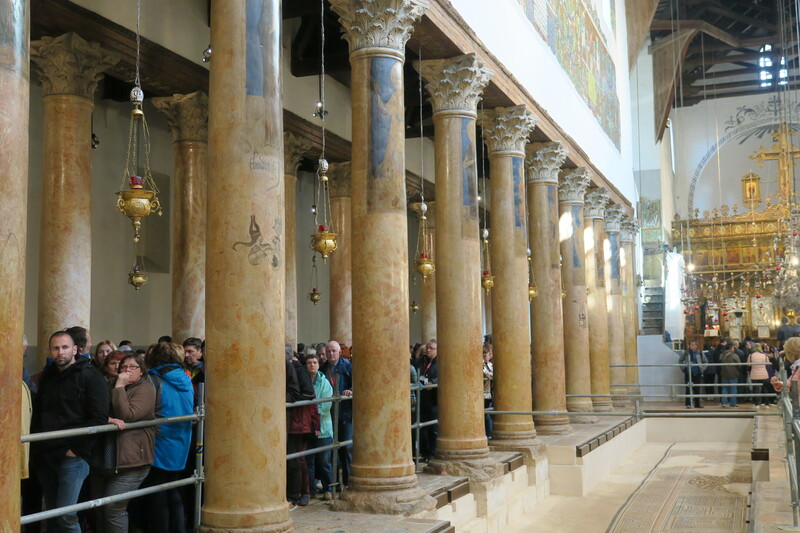 All the same, it’s been an amazing experience, and if you’ve ever considered a pilgrimage to the Holy Land, this is a good time to go. It’s peaceful, and crossing the border from Jordan was smooth, as was the trip into the Palestinian Territories. On the other hand, the relative quiet has encouraged the crowds to come. All the same, it’s worth the effort. 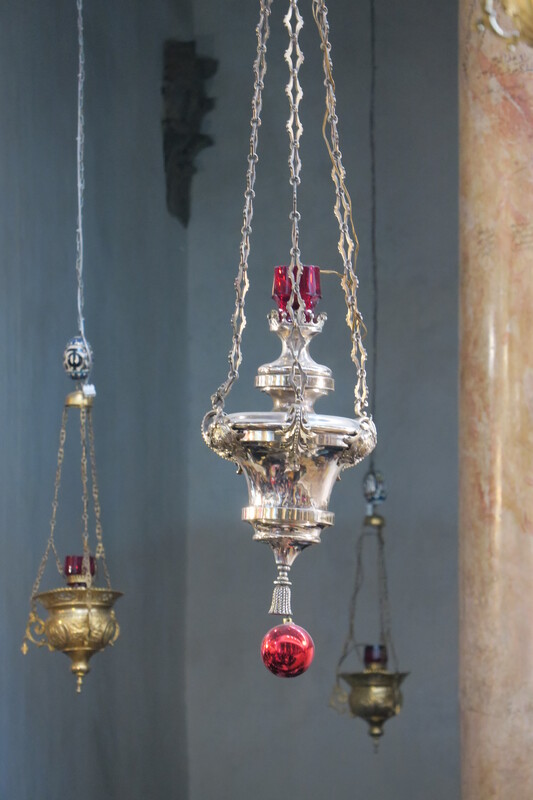 +One of the unexpected benefits of standing in place for two hours in the church of the Nativity was the opportunity to take photos that might not otherwise be possible. The photos in today’s post were the result of having nothing to do for two hours — except taking pictures and being vigilant that no one got ahead of us in line.